After the whole border situation entering in Cambodia, we arrived in Siem Reap hesitant about the days to come. Read the whole story on the post: Crossing Cambodian Borders – The Poipet scoop. 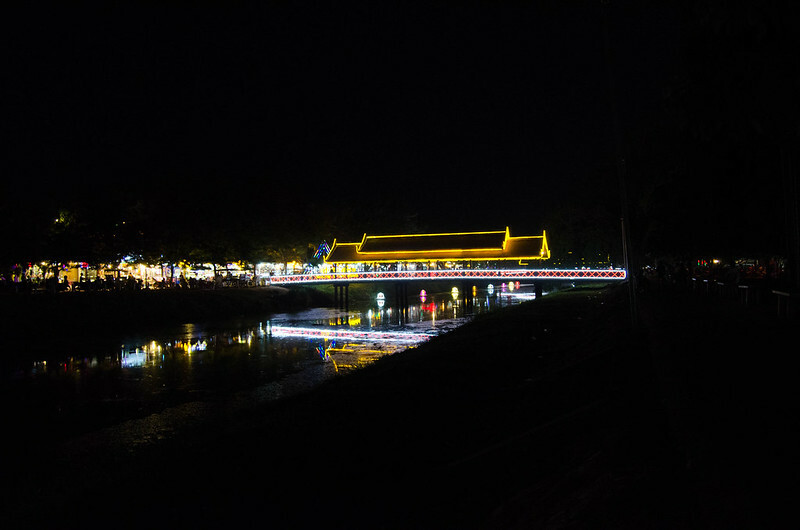 Siem Reap is a “small city” that rapidly grew and adapted to the massive tourist influx at the expenses of the Angkor Temples. So, foreigners, hotels, and shops are everywhere. 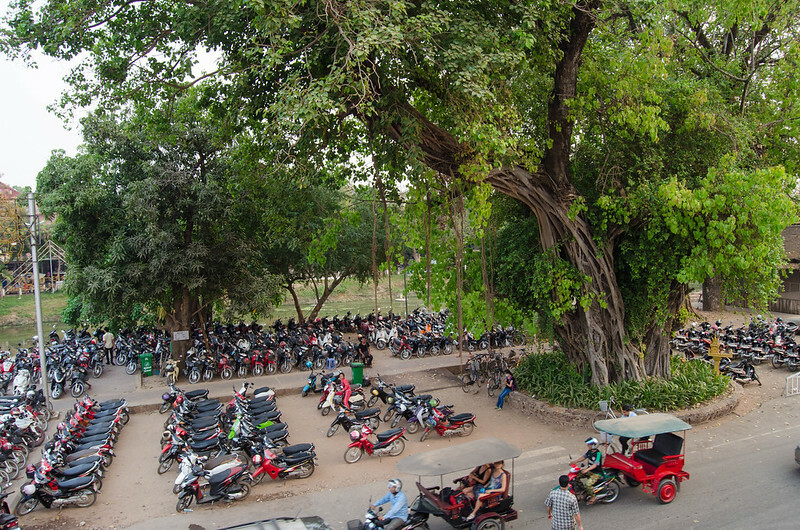 The Siem Reap river divides the city in two, nearby in the Royal Gardens, you can rest and escape from the afternoon heat under the old trees. 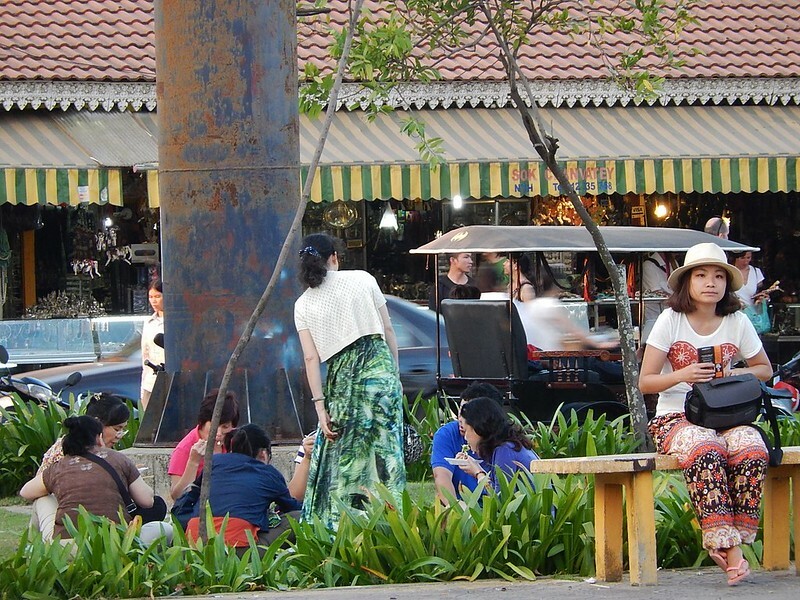 Locals come here to relax on the benches, socialize and play jianzi. The sunlight has a magical deep orange hue and the city seems to be calmer around here — there aren’t many people in sight, only a few local passerbyers and businesses seem to be slow. 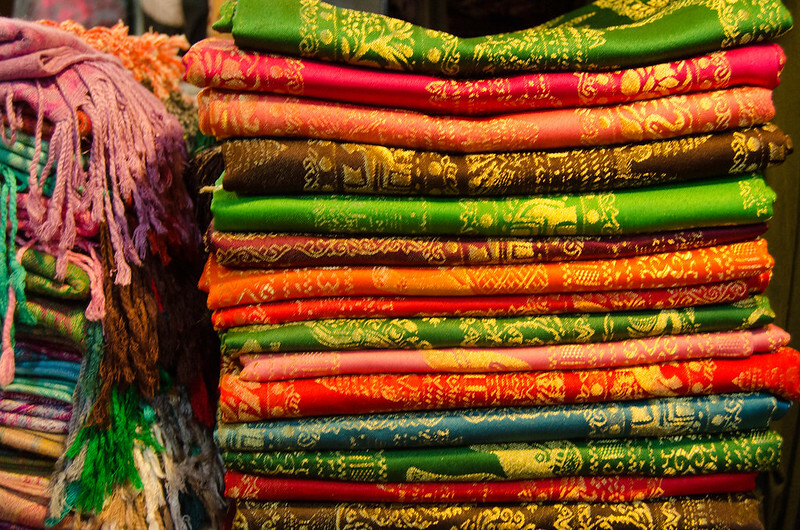 Most tourists are hiding from the heat in their hotel rooms or visiting the Angkor temples. At the beginning and end of each day, an amusing anarchy in traffic starts, as cars, tuk tuks and mini buses packed with tourist go and return from the temples. Scooters and bicycles run where they want, as fast as they want. The sidewalks are parking spots and pedestrians are forced to walk on the road — it’s every man for themselves. In Siem Reap tuk-tuk drivers are next level annoying, all they want is to take you on a tour of the temples or sell you some cocaine, both preferably. They’ll be waiting for you on random streets, restaurants, hotels and coffee shops. In the moment they see you asking for the bill, they’ll start touting. They will shout, whistle, clap and hiss to get your attention. Breathe, say ‘thank you’ and keep moving. 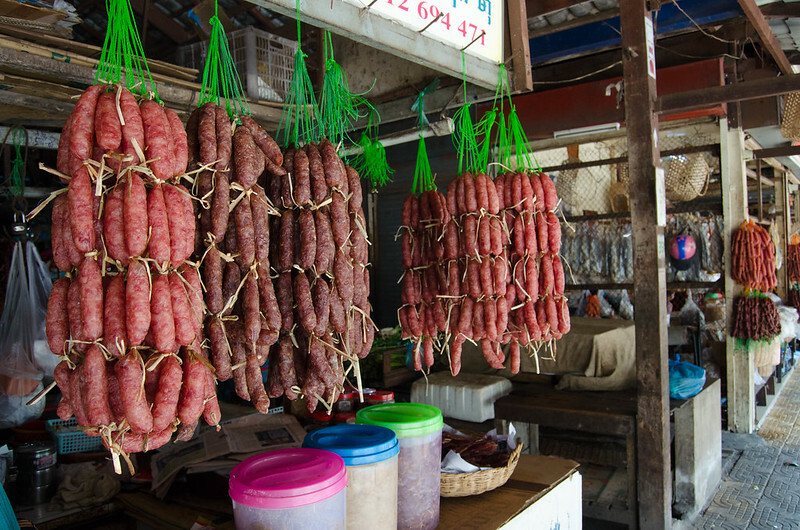 Khmer food is one of our new obsessions, Cambodians are like wizards of pepper: amouk is great, Lok Lak even better. The spicy mango salads and the pork with pineapple are to die for. Just try all of the above with a fruit smoothie, any fruit smoothie. 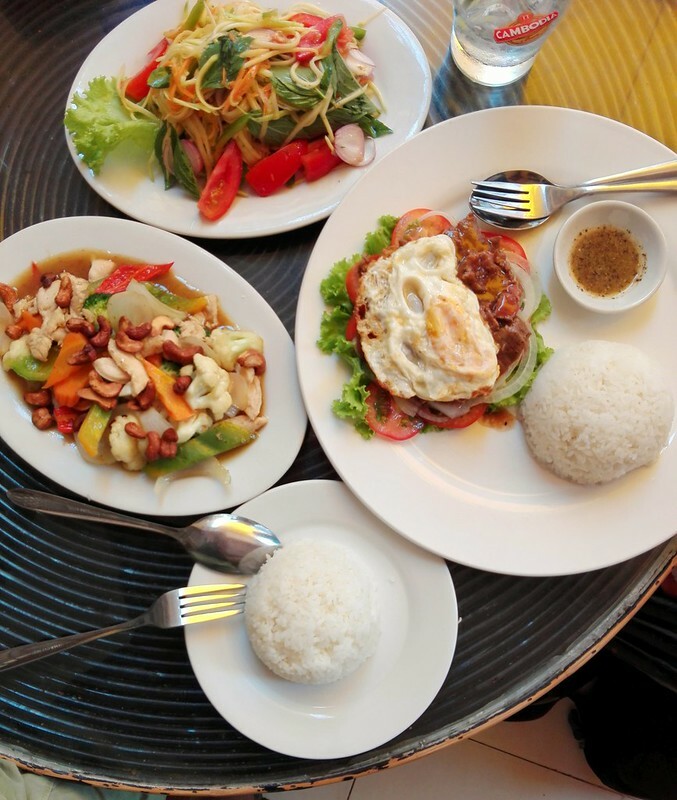 We had the majority of our meals in a great restaurant called Moul Chheng Heang, near our hostel. The food was delicious and so were the prices, but what made us return every night, was the lovely enthusiastic lady running the restaurant. And lovingly made us promise we’ll return the next day. – See you tomorrow. Ok?! The average street food costs 2,5USD. In restaurants near Pub Street meals start at 7 or 12USD. In most supermarkets, water is more expensive than in restaurants. A dolla’ makes them holla’! It’s weird to see an entire country on the other side of the world running on dollar bills. 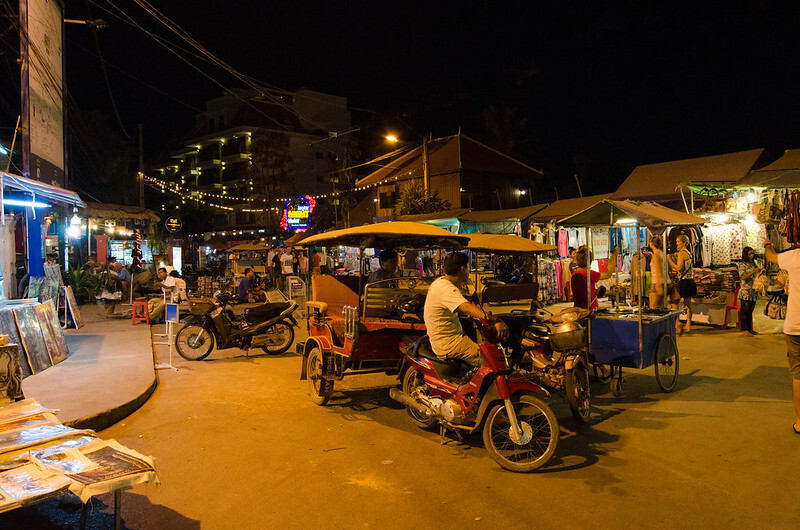 All throughout Cambodia, you’ll need US dollars for everything: food, hotels, entrance fees, and transportation. They don’t care for their currency, so if you try to pay anything in Rhiels, they’ll roll their eyes at you. The problem in this is that everything got more expensive. There aren’t any nuances in prices and everything got rounded up to 1USD. Banks will give you dollars bills by default when you use any ATM, and the average fee is 4USD for each withdrawal. P.S.- if you’re European you will be charged a fee from Canadia Bank also. There’s a money saving tip on Lonely Planet about this bank but didn’t work for us. Everyone comes here when the sun goes down: locals, backpackers and tourists of all ages come to eat, drink and shop around. The street is filled with restaurants, massage parlors, coffee shops and bars. And there will always be happy hour somewhere. 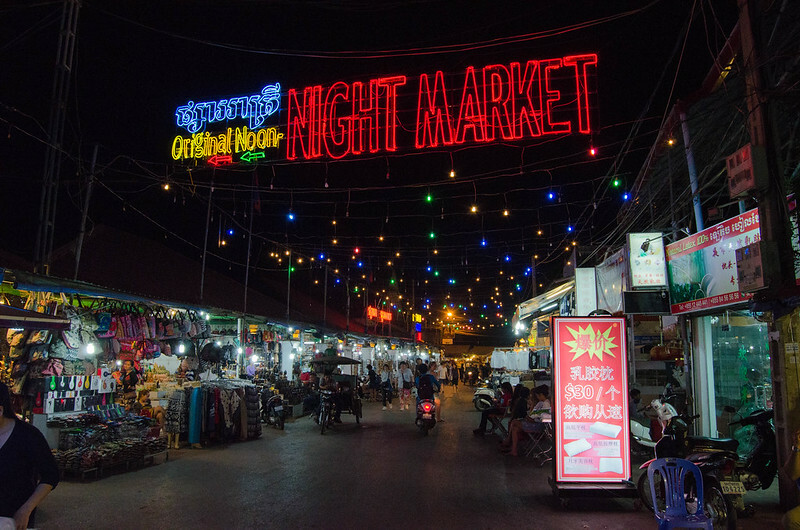 There’s color everywhere you look: in the neon lights of the bars, the fruit in smoothie carts, the brightly lit bridges and in the night markets on both sides of the river — Old market, Angkor market and Night market. Every conversation that occurred was with the intention to make a sale and were definitely not in our best interest. As tourists, we got singled out and only treated as such. Locals never seemed to be bothered or interested in our presence, so conversations never happened. Looking back, we should’ve stayed more time in Siem Reap, it has a captivating affability that lingers. If you have any questions or some extra info to share, please leave a reply. Thank you!